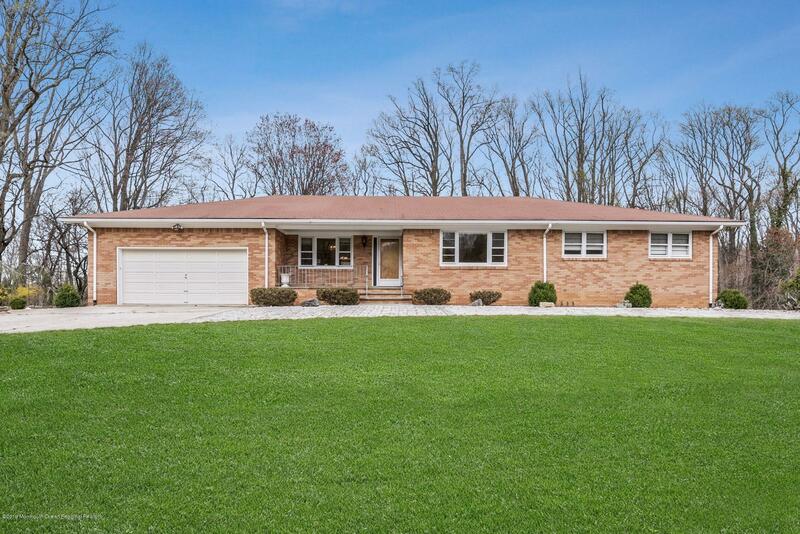 Wrapped in a brick exterior is this sprawling ranch boasting expansive rooms, easy flow, and open floor plan. Enjoy a generously sized living room, formal dining room, large eat in kitchen (with all SS appliances) which opens to inviting family room with wood burning fireplace adorned with stone surround. Conveniently located off the family room through French Doors is a large, 4-season sun room w/walls of windows to enjoy this home's professionally landscaped 1.75 acre setting on a private cul-de-sac. Added bonus is the finished basement with the 2nd fireplace in the home. 1 zone A/C. Ideally located within minutes to top-rated schools, shoppings, transit, major highways, parks, and much more!